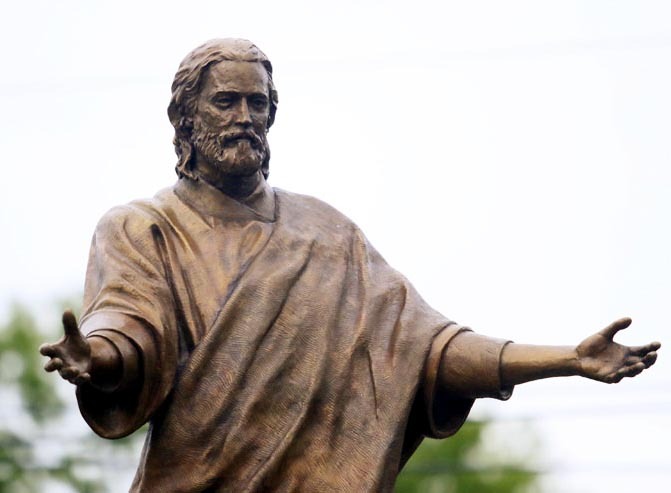 ‘Welcoming Christ’ statue dedicated at Archbishop Carroll H.S. 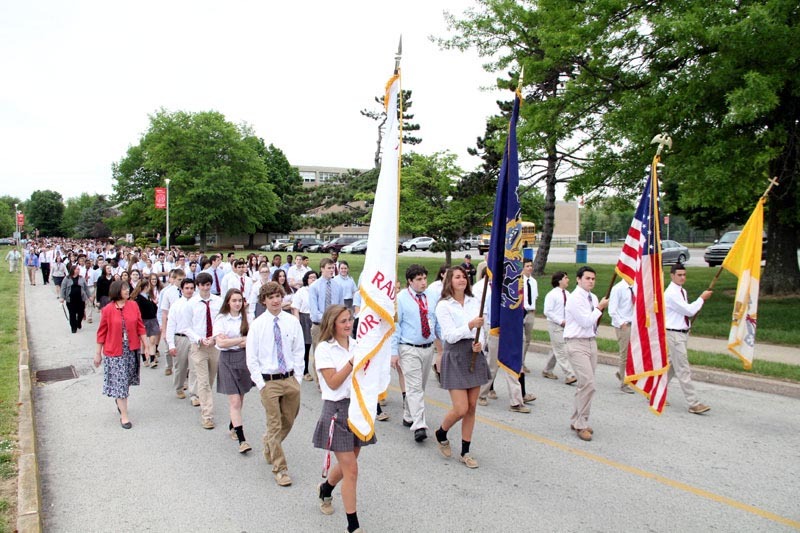 The student body processes from the school to the entrance of the Radnor campus for the dedication ceremony. 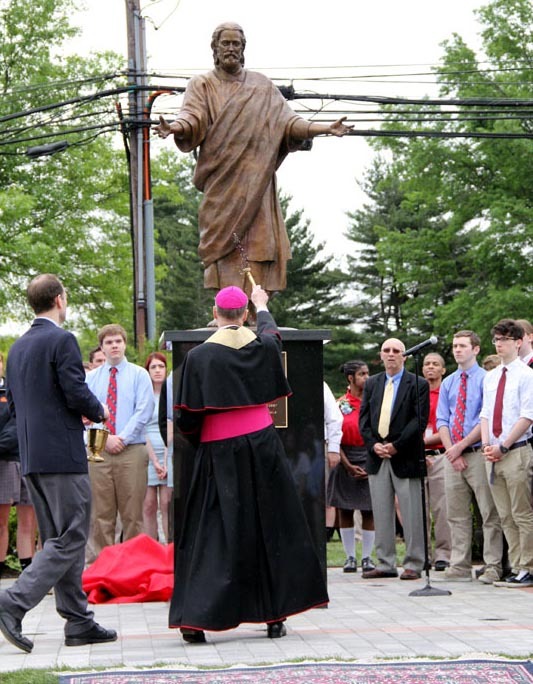 The statue is unveiled at the entrance to Archbishop John Carroll High School’s Radnor campus. Bishop Michael Fitzgerald blesses the newly installed bronze statue. 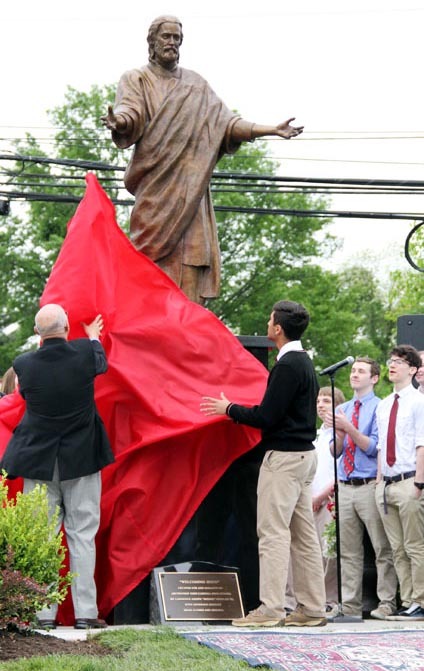 Archbishop Carroll students cheer the unveiling. 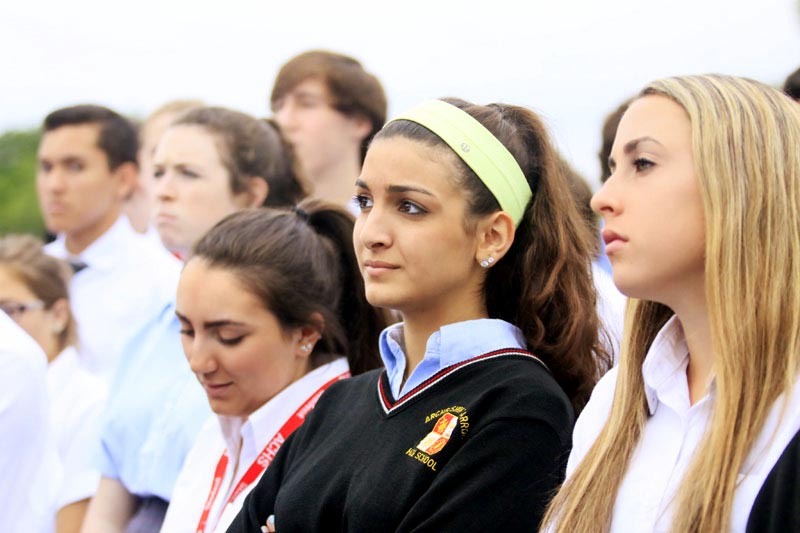 Students listen to remarks by speakers during the dedication program. 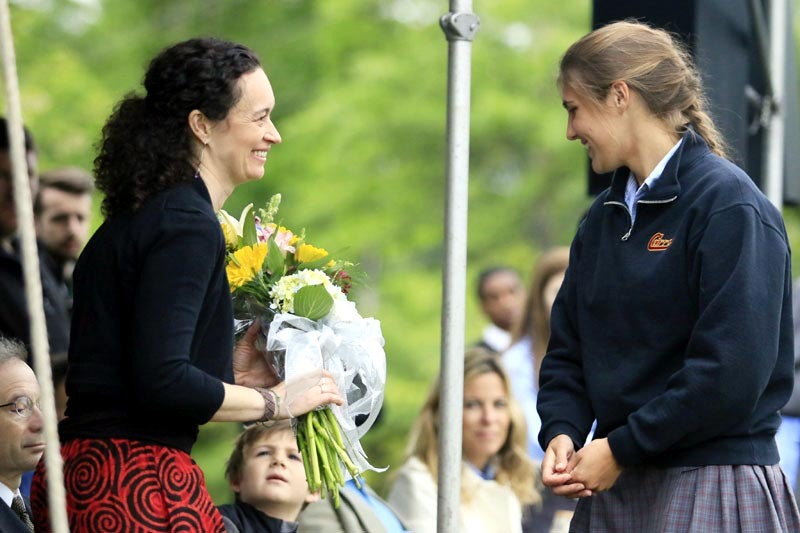 Students present flowers to Heather Nowlan (left), wife of the statue’s sculptor, Doobie Nowlan, who died in 2013. 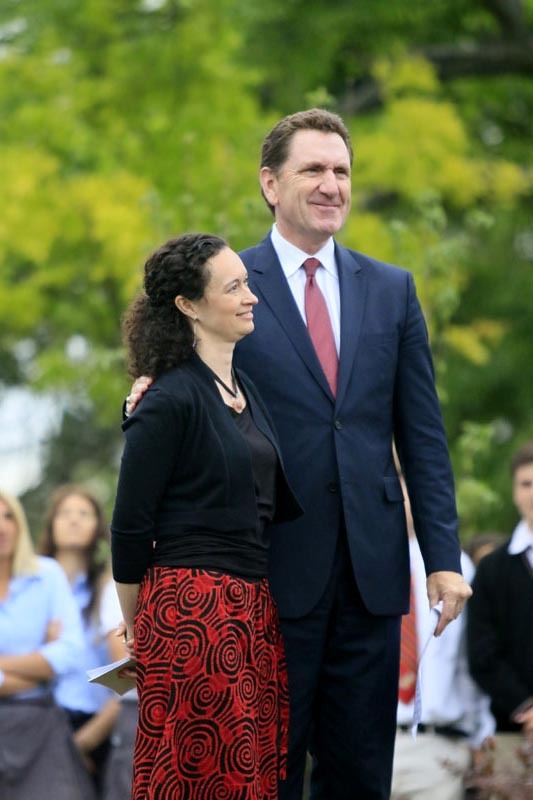 Heather Nowlan watches the unveiling of her late husband’s statue with Carroll President Francis Fox. 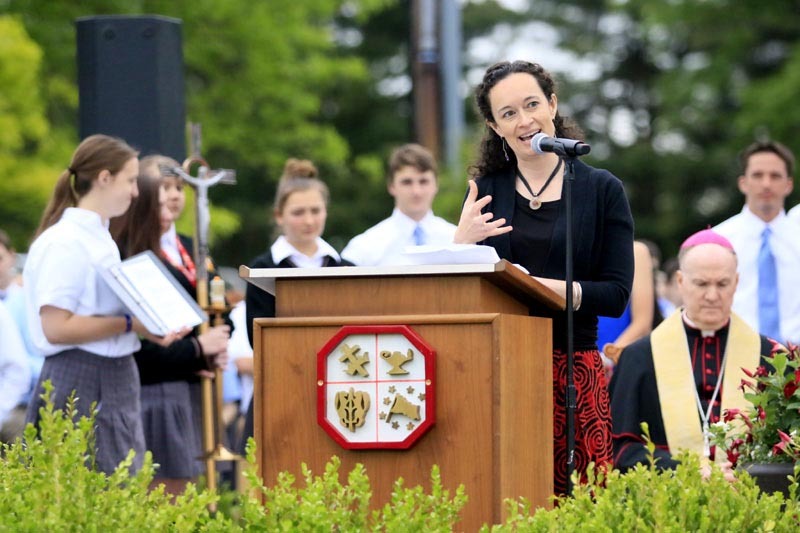 Heather Nowlan addresses the students and guests. 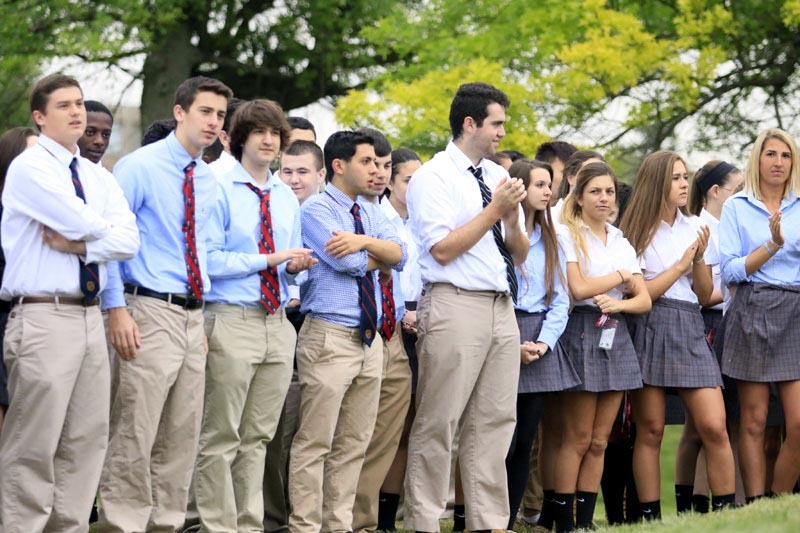 The entire student body processes from the school to the entrance of the campus for the dedication ceremony. Students walk to the school’s entrance in the procession. 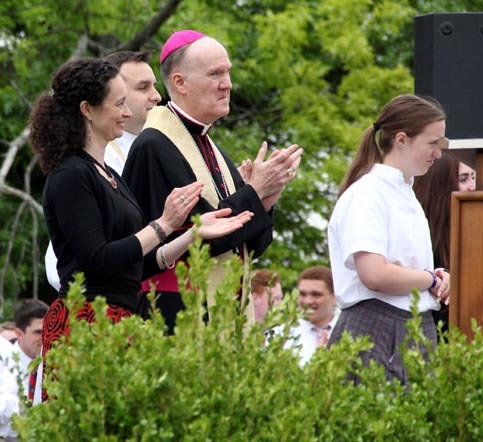 Heather Nowlan and Bishop Fitzgerald applaud the unveiling of the statue.